But see my article 13 years previously; "Any apparently steady field is a combination of two energy currents travelling in opposite directions at the speed of l;ight." Abstract - A static dc voltage can be treated as two traveling waves propagating in opposite directions of a lossless, nonuni-form transmission line. The amplitudes of these two traveling waves are a function of the characteristic impedance of signal line. The concept of two traveling waves is applied to a time--domain-scatterIng-parameters analysis in a lossless, nonuniform transmission line terminated with nonlinear loads. W HEN A LOSSLESS transmission line is connected to a dc voltage source at one end and an appropriate resistive load at the other end,.a steady state dc voltage will finally be reached in the lossless signal line. Such a dc voltage is often treated as a static signal. In this paper, we treat such a static dc signal as two traveling waves propagating in opposite directions of the lossless signal line. In general, these two traveling waves have different signal amplitudes; the summation of these two traveling waves is equal to the static dc voltage. Such an approach will give us physical insights regarding the interaction between the transmission line and associated terminations in time domain analysis -[4J. where V represents voltage, I is the current. Z = (£/C)1/2 is the characteristic impedance. u = (LC)-1/2 is t1}e wave velocity, Land C are inductance and capacitance of the signal line per unit length. t is the time and x is the space variable. Note that V+(t - x/u) and V_ (t + x/u) represent the waves traveling in the +x (forward) and -x (backward) directions. respectively. Manuscript received November 17, 1992. The author is with AT&T Bell Laboratories. P.O. Box 900. Princeton. NJ 08540. 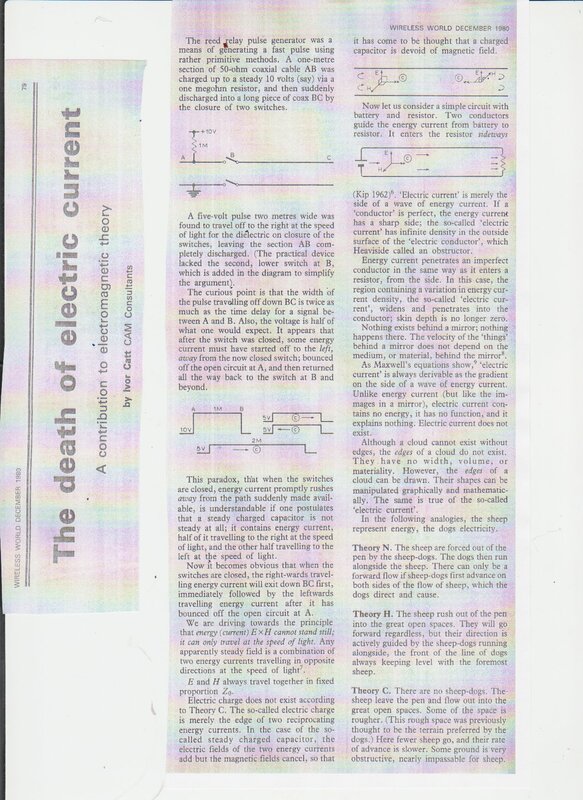 Footnote; 'The terminology "dc voltge" here and in the title might indicate not a continuous de voltage but a long-period pulse. to the circuit configuration at the load (right) end. For the circuit previously stated, the traveling wave Vx+(t, I) makes a contribution to the total incident and reflected waves a,(t) .. h(t) at the load (Ieft) end and the existence of Vx+(t, I) extends over the time interval II < I < T + I •. Notice that the summation of existing time of traveling waves Vr+._ at both ends of the line is 2T. We decomposed a dc voltage on a lossless. nonuniform transmission line into two traveling waves propagating in opposite directions of the signal line. The amplitudes of two traveling waves are symmetric with respect to a horizontal line represenling half of the steady state voltage. This approach provides us physical insights regarding the interaction between transmission lines and associated loads in time-domain considerations.